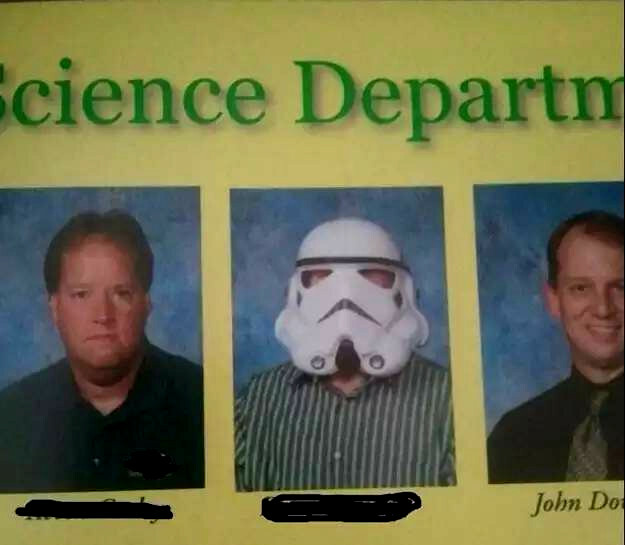 hahaha This is a hilarious yearbook photo of a teacher who was a really big fan of Star Wars. Instead of taking a regular photo he decided to wear a mask the clones would wear in the movies. I wish my teacher was this funny!